To start off the year, I read Laura Murray's new book The Gingerbread Loose in the School to the kindergarten, 1st grade, and 2nd grade students. 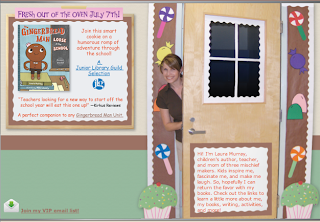 Laura did an amazing job writing this book and the illustrations created by Mike Lowery are perfect! . 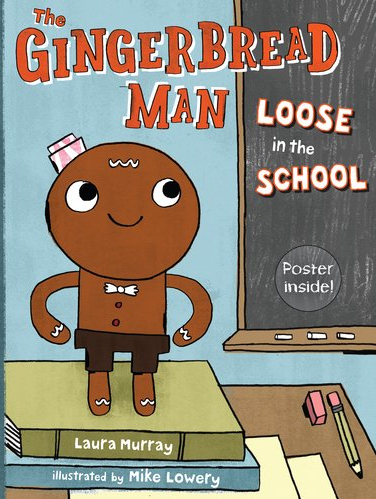 This adorable story takes the readers on a journey through the school with a newly baked Gingerbread Man. 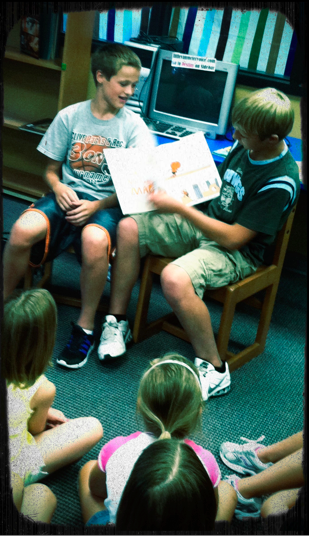 I had lots of friends (including 8th graders Ben Trent and Isaac Benton) come to the elementary library to read this story to the little ones. It was a book that we all laughed out loud as it was read. After we read the book, I thought that it would be fun to create a scavenger hunt and find some of our own special people at Van Meter School. I decided to create one using QR Codes (quick response codes). The first thing I did was decide which locations I would have the children search. I took photographs of these people and uploaded them to Flickr. 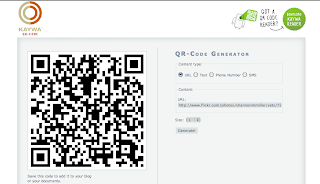 Then I used the site Kaywa to create the QR codes. 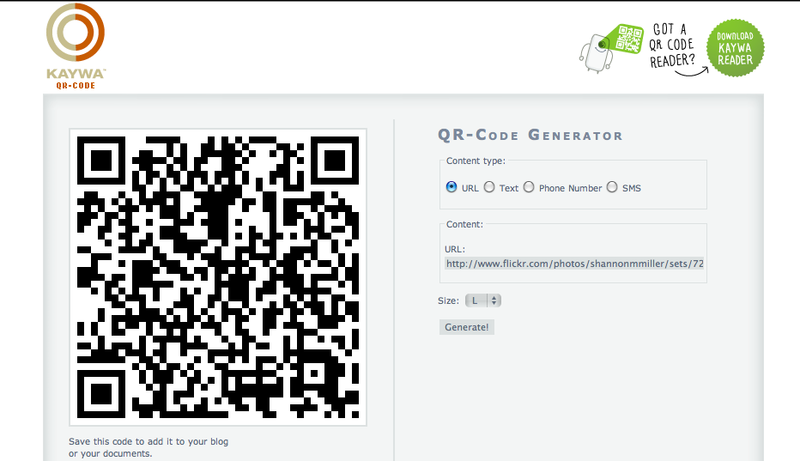 For each image, I created a QR code using the url for that image from Flickr. Once the QR code was created, I took a screen shot of each one. 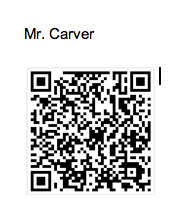 I then pasted each QR code into a Google Doc that I opened just for this project. I labeled each code at the top of the page, copied it six times in the Google Doc, and ran the entire document off when it was complete. This was very helpful because you need to make sure you know which code goes to each unique location.....or it will be a lot of extra work when hanging up the clues around the school. I cut out each set of QR codes and pasted them onto copies of the cover and little pieces of black paper. 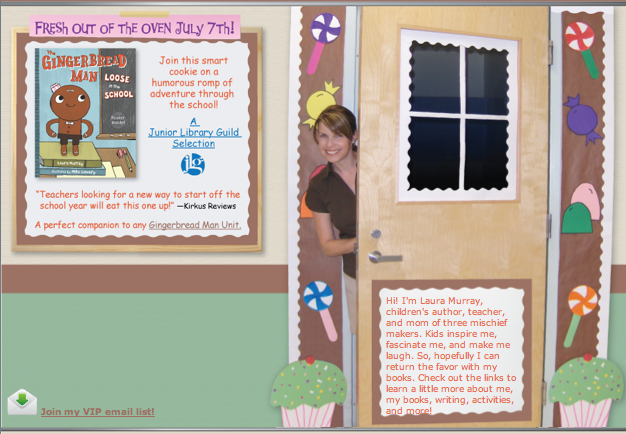 I made sure each location had six scanning sites so the children could spread out during the scavenger hunt. When they came for library time, I explained to them what QR codes were and how they can hold all kinds of information, images, music, and other things. A few of the students raised their hands to tell us how they had seen them at stores or in magazines. One little boy even scanned a QR code before on a pop can. 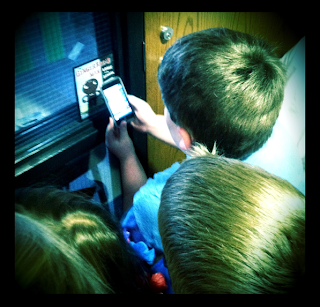 I showed them how to open up the scanning app and place the camera over the QR code. They were so excited to see a photograph of me pop up on the screen of the iTouch. Next, it was time to put the iTouches into the hands of the students. 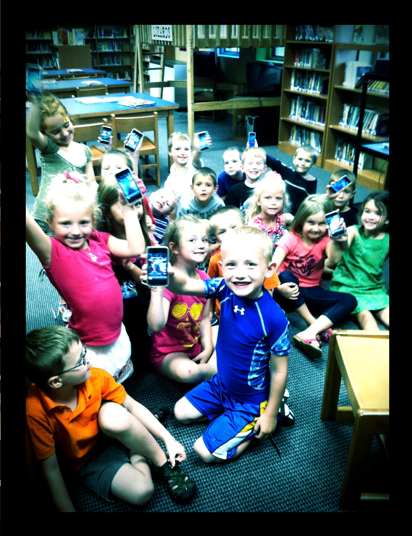 For a lot of the little ones, this was the very first time they had even held an iTouch. 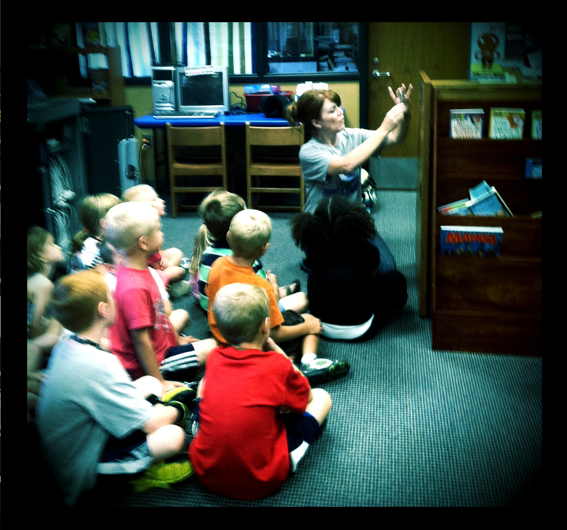 I loved watching their faces and listening to the excitement in the library. We went to the different locations and took turns scanning the QR codes and looking at the clues. They all did such an amazing job working together and sharing the iTouches. 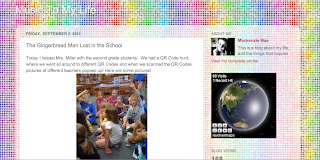 To find out who the children had to find on the scavenger hunt, please watch this Animoto entitled A Fun QR Code Scavenger Hunt at Van Meter . It is so fun to watch their faces and the excitement that happened during this activity. 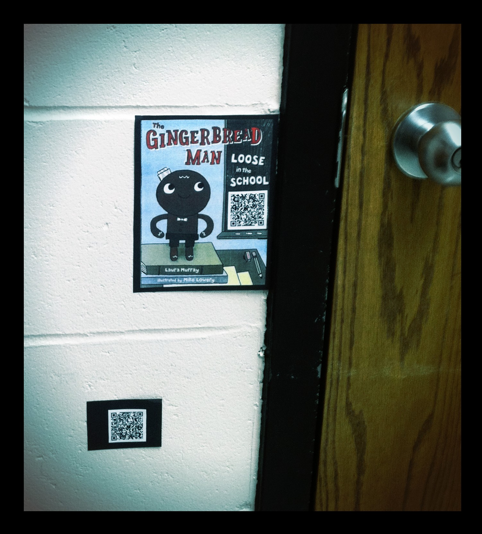 Two of our student bloggers also wrote about the Gingerbread Man QR code project. MacKenzie Roberts, who is an 8th grader, wrote a post entitled The Gingerbread Man Lost in the School on her new blog Music To My Life. MacKenzie and her friends helped me take the students around the school on the hunt. It was so great having them there to help me with the younger ones....everyone enjoyed this. 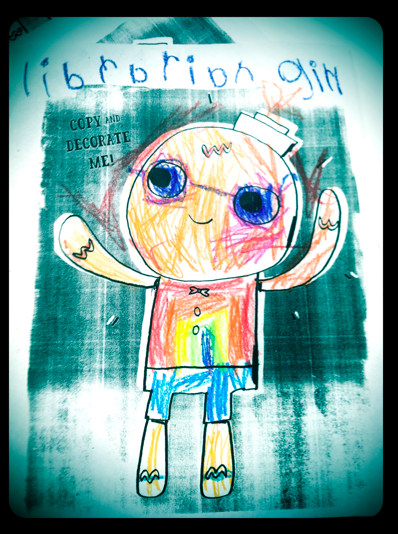 And first grader Hagan Miller wrote about the fun he had participating in the scavenger hunt last week on his blog, Hagan's World of Awesome. We will definitely be searching for the Gingerbread Man again at Van Meter School. According to School Library Journal's website, anyone is eligible to suggest a video for consideration that was originally posted between July 1, 2010 and June 30, 2011. To recommend a trailer, send an email to SLJbooktrailers@gmail.com in a mp4 format. Please do not send actual video files via email-they will not be accepted. Include the name of the video, the url of where the video is available online, the video's creator(s), the book's author and the title of the book featured in the video, along with publisher and copyright date. Also describe in no more than 150 words how the trailer draws in potential readers.